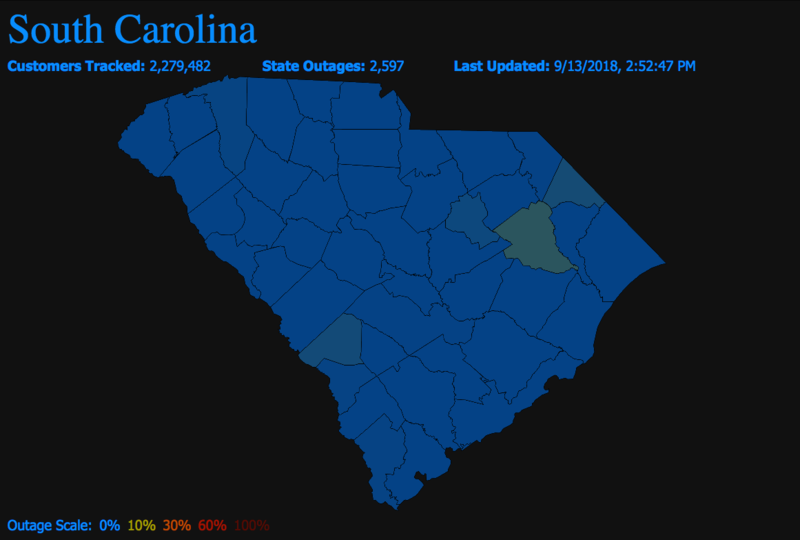 Water, water, everywhere; this may end up being the true story of Hurricane Florence. While now a category 2 hurricane, the damage from this storm is expected to come from both storm surge and inland flooding. Multiple dangers accompany high water. Here are just a few. Inland flooding could be record-setting from this event. Heavy rainfall is forecast for much of southern North Carolina westward into central South Carolina, especially in the Wilmington area. Some locations may receive more than 40 inches of rainfall over a multi-day period. At this point, the intensity of the hurricane does not change the storm surge threat. Florence's wind field is vast and a storm this size will move a lot of water. Due to the slow speed, there is expected to be substantial, prolonged surge along the coast. Water will continue to be pushed inland as strong winds move it onshore. 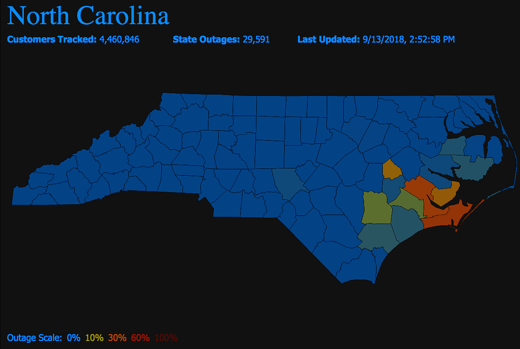 As Florence continues inland, power outages will expand. You can click on the images above for the latest information. Some areas along the coast may end up with 24+ hours of hurricane or tropical storm winds which will bring down power poles and lines. Live lines have been known to electrocute people through conductivity when people are walking nearby or wading through flood waters. Fallen trees or debris may also cause power outages. Although many power companies are sending convoys of repair trucks to the region, outages could last more than a week in many areas. When the ground becomes saturated, trees have a high tendency to fall. Many trees along the coast have shallow roots. As the rain falls, the soil becomes so wet that it can no longer hold the weight of the trees. It is not unusual to see them pull up entire chunks of turf. 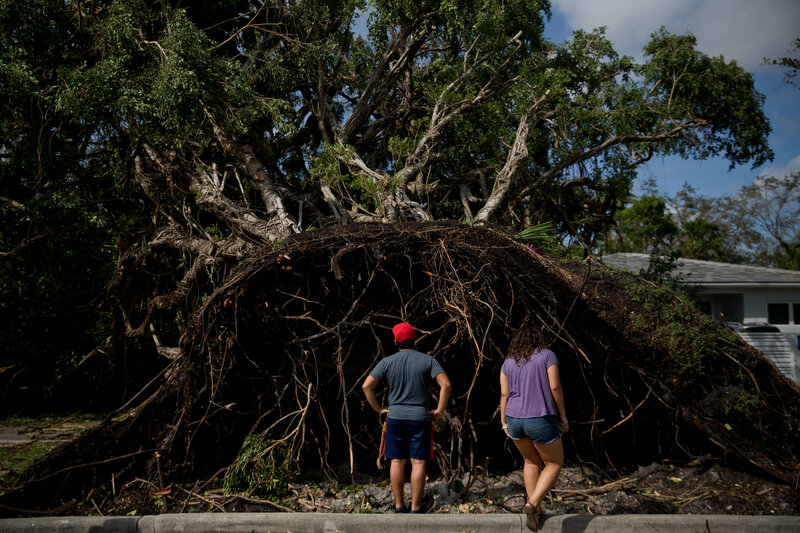 As the trees fall, they take out additional power lines, damage homes, and injure people. 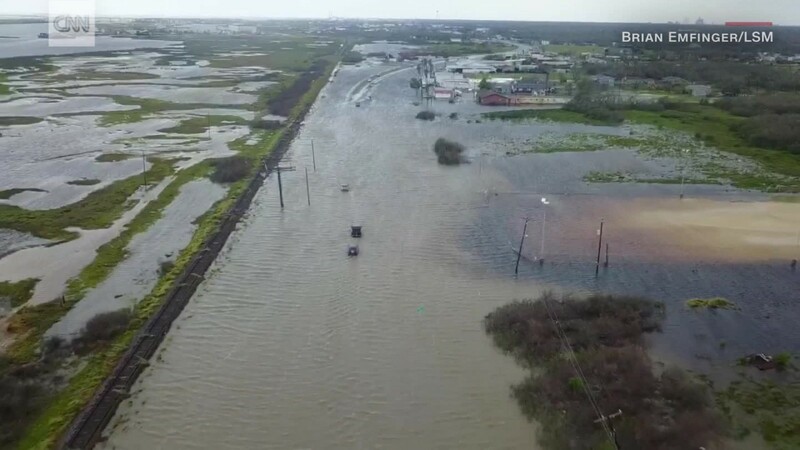 The above aerial shot of floodwaters from Hurricane Harvey give a hint at the hazards. Oil and gas leaks into the water from cars and wells, water treatment plants become contaminated, and sewage spills into the water. If you are in a flooded neighborhood with stagnant water, it can lead to infections if you wade through it with an open wound or get it in your mouth, nose or ears. It also becomes a breeding ground for mosquitos that bring additional diseases. And after the water recedes, harmful mold begins to grow anywhere it can, including homes and businesses. As water rises, a lot of other things begin to show up. 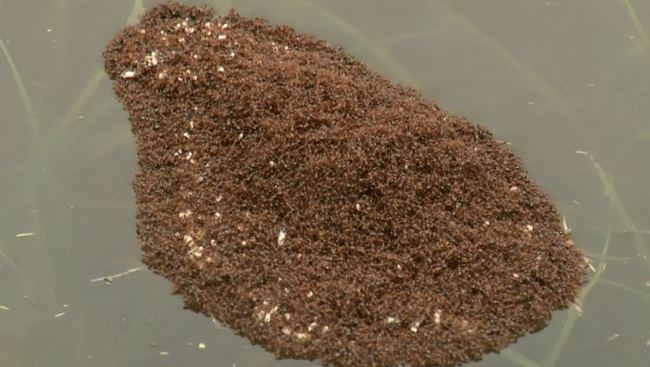 Fire ants are known for forming floating piles and are not something you want to encounter. 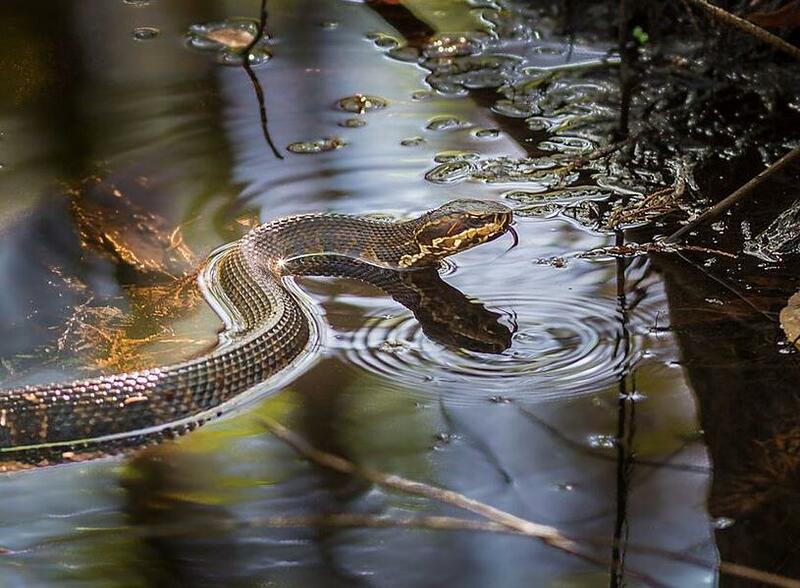 Snakes and other critters do not enjoy floods and will climb to higher ground or seek out dry spots. Unfortunately, sometimes the places they seek out are in people's homes. If you live anywhere in the path of Hurricane Florence, stay alert and pay attention to the latest forecast information. Do not let the lower category of the hurricane fool you into thinking it is weaker. While winds may not be as high, the water is still expected to cause significant damage.